While we are a big fan of the super green smoothie. In honor of love, Valentines day and everything pink. 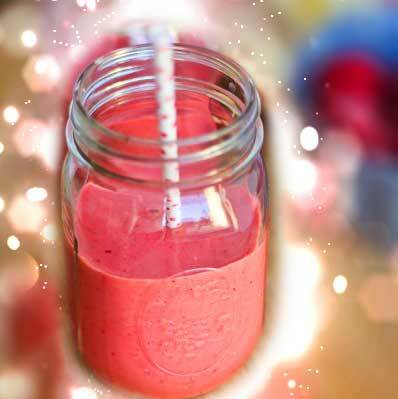 We are whipping up a delicious and color intense Pink Smoothie. This raspberry mango smoothie has a nice tart and sweet flavor. Fill blender cup 1/3 of the way with ice. Add fruit, berries and nutrimeal. Fill up with juice. Blend 45 seconds and enjoy.